Planning the ideal children’s birthday party or fun day can be a very stressful experience. While the planning of a party may seem simple, it can be difficult with various considerations to take into account. Potentially one of the most important points to take into account is the entertainment and how it will provide an enjoyable atmosphere. Yes, one can hire a child entertainment troupe to amuse the crowd, but there are also additional entertainment features to consider. 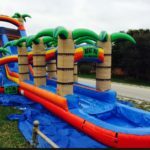 One of the most popular items at a child’s birthday party is the bounce house; however this can be dangerous to the individual’s health with a high risk of injury. 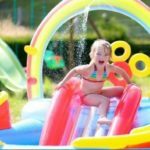 This article will provide information on the second option of an inflatable swimming pool slide. 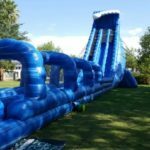 What Is An Inflatable Swimming Pool Slide? 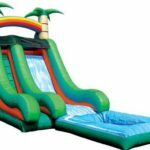 An inflatable swimming pool slide is very similar to the bounce house in that it can be placed in any area of the yard. This is due to its inflatable feature and its reduced weight. Unlike the bounce house, the users will not be bouncing around but rather paddling in a pool of water. 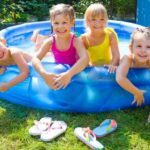 To ensure one is utilizing the correct size of pool slide, it is important to determine the amount of individuals using the item and the age of these individuals. 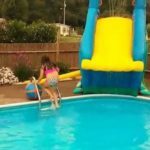 What Types Of Swimming Pool Slides Are Available? 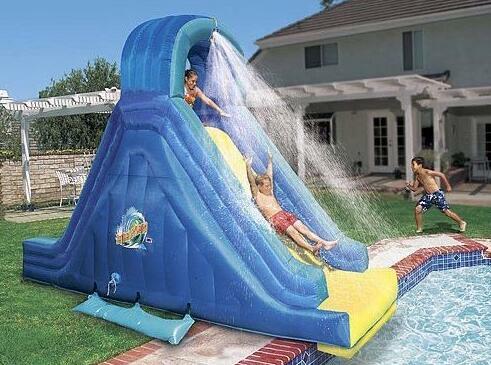 As is mentioned above, the type of pool slide required will depend on the age and number of users. There are numerous types of pools available to ensure that the ideal option is obtained for the event. The first option is that of the infant swimming pool slide. The infant swimming pool slide is created for young children and their parents. It must be shallow to reduce risk of drowning; however, it should also provide the infant with enough water to swim in. As the infants will not be interacting as older children, it is recommended that one purchase inflatable toys and accessories. Furthermore, one should consider the color and style of the slide to ensure it stimulates the baby’s imagination. 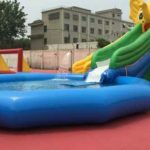 The toddler and older child inflatable swimming pool slide must be suitable for active and robust behavior. This pool should also have a shallow base, but it must allow the toddlers to swim and interact as well. The rough behavior of these users will require a durable and larger pool with slide features in addition to toys.